• The New York City tech ecosystem generates approximately 541,000 jobs, $50.6 billion in annual compensation, and $124.7 billion in annual output. • The New York City tech ecosystem includes 291,000 jobs that are enabled by, produce, or facilitate technology. • From 2003 to 2013, the New York City tech ecosystem added 45,000 jobs, growing faster than both total New York City employment and total U.S. employment. • The New York City tech ecosystem includes more than just highly-educated workers – up to 44% of jobs in the New York City tech ecosystem do not require a Bachelor’s degree. And speaking of New York tech, the NYC Big Apps announced its 5th Annual Big Apps 2014 contest, in the sectors of big idea challenges, devices and games and data tools, and personal pages. For now, it’s on to the startups! A cloud-based slide management site, Shufflrr is built around compiling and “shuffling” slides from PowerPoint presentations. Multiple people can move slides for a single presentation, open multiple presentations at the same time and share slides as well. Stream your slideshows like a broadcast, and access your notes and files on the fly to display them, too. Social elements allow users to “like” and comment on slides. Share capabilities can be adapted to various security levels. Labeled as “the home for entrepreneurs,” WeWork connects entrepreneurs working in physical work spaces to socialize and interact with each other – hyper localized to find people working in the same building or street. Find providers for the services you need, and book conferences or RSVP to events. Ever needed a commercial room or space for a few hours, to have a meeting or work privately? Breather allows you to find local work spaces, available for rental on an hourly basis. Use a map to locate spaces and book times, and unlock the doors using codes provided on their smart locks. The rooms don’t have cameras to spy on users, and cleaners come in to keep the rental times in check. User reviews reflect the room conditions after rental periods, and bad reviews will kick those bad users out of the system. 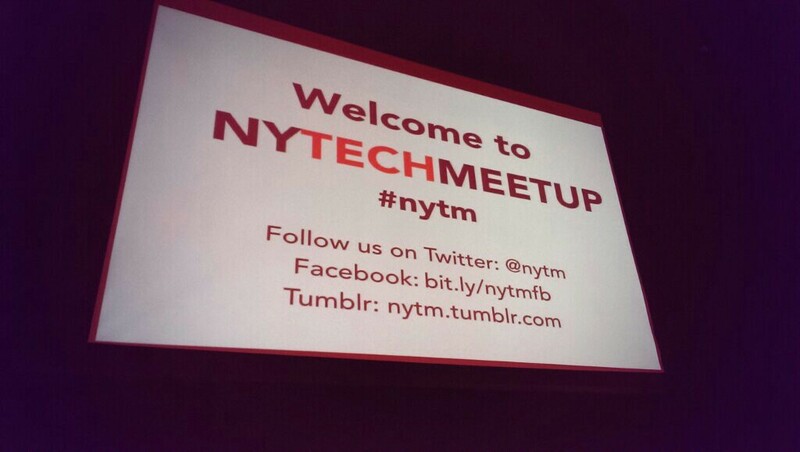 Purchase an hour and use code NYTM for an extra hour free. A communications platform for coworkers (or non-coworkers), Honey aims to replace rudimentary emails as the primary means for coworkers to converse in the office from the comfort of their desks. Grow a list of interests in your sector to generate a news feed, and build a community amongst your coworkers to share ideas and content. Posts on the site are fully searchable, allowing for easy recalls of ideas or statements made. Users can make personal and corporate accounts, and admins can control the posts per sector. AdhereTech has created a smart pill bottle that utilizes cellphone technology to communicate usage data. The bottle can send phone/text alerts with adjustable variables, using a battery lasting up to 45 days on a single charge. The device only turns on when opened, or periodically on a determined schedule. The bottle itself is meant to be used for serious diseases such as HIV and cancer, so the bottles would be acquired through specific means and not generic pharmacies. Patients have full access to their personal data, and can set up the bottles in just three steps. Unite US was created as a means for military veterans to connect to necessary local resources or organizations, to aid them in their adjustment them back to civilian life after returning from deployment. Users can filter a searchable map to find the services they are specifically looking for, and the nonprofits and government operations are incentivized on their end for making themselves reachable through the site. In addition, organizations can view the data on site members and reach out to them. A redesigned web browser for iOS, StreamWeb uses gesture based controls and a unique UI to appeal to mobile users. Pages load in full screen automatically, and the URL/search bar is placed at the bottom of the page to appeal to users who usually hold their device by the bottom. Swipe from left to right to switch between tabs, or even load two at once. Sharing is especially simplified through the browser, and it’s as simple as placing two fingers on the link/image you want to share and using the built-in protocols to jump to a specific app in order to send it. A voice control remote for the “internet of things,” Shortcut allows for seamless connectivity between devices. Use your phone to send commands to devices in your home, such as a smart thermostat or even the coffee machine. Set phrases and shortcuts (such as “daddy’s home”) to instantly activate or set up multiple devices at once, and use one-click authentication to set up the app. A powerful creation tool within an app, kandu allows kids to create apps and games and submit them in a marketplace for other users to try or modify. Use a library of assets to simplify creation, and physical influences such as an accelerometer can be used as well. The coding language is broken down into simple terms – “When this occurs, do that” and to add multiple parameters to your programs.